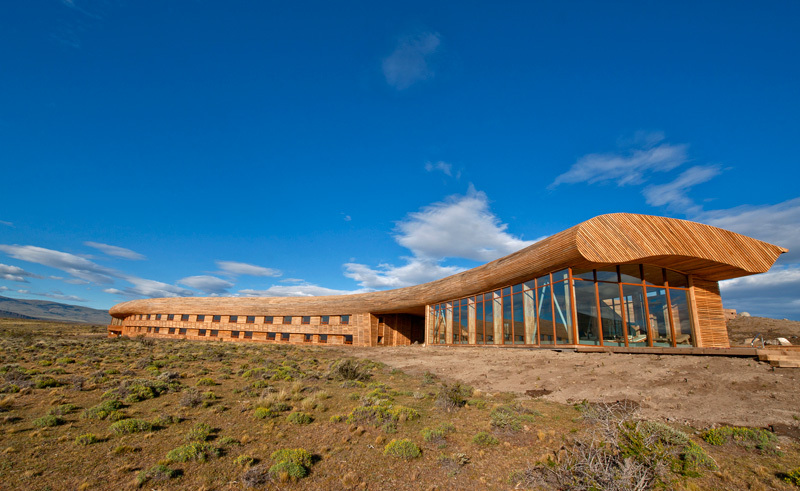 The Tierra Patagonia Hotel & Spa sits on a bluff where the South American pampa meets Lake Sarmiento, just beyond the border of the famous Torres del Paine National Park. 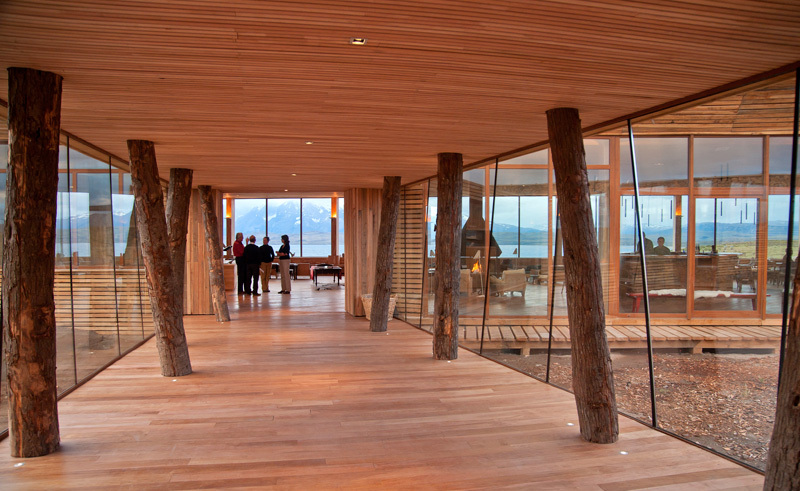 The building is immersed in the landscape and the award winning architecture complements the flow of the geology in this privileged location. 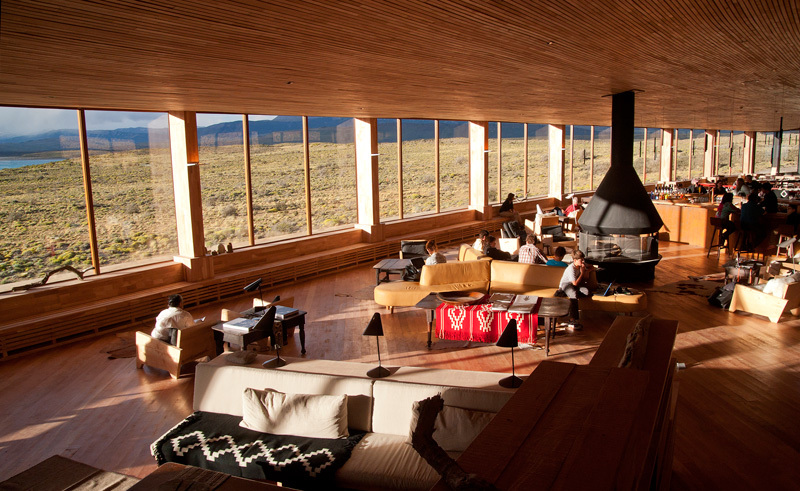 Inside, wood clad walls emanate warmth, homeliness and protection – a cosy hideaway after a day spent discovering the sensational Patagonian scenery. 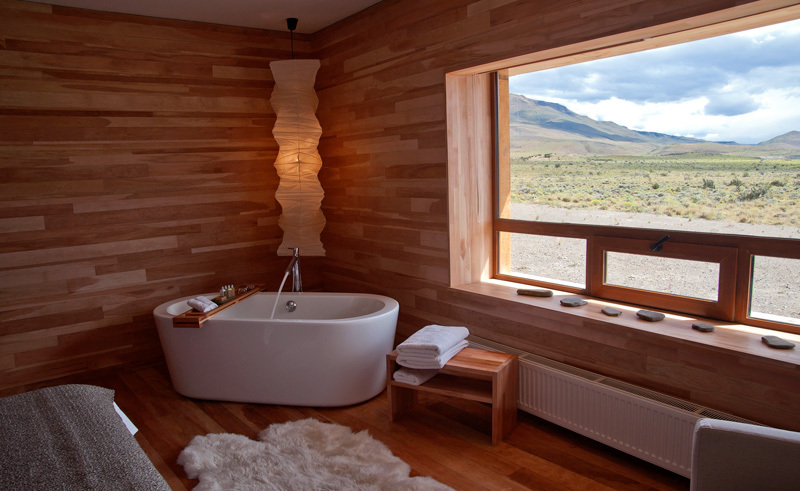 There is something truly delicious about curling up on a comfortable sofa with a blanket, a book and a glass of wine, but then forgetting to turn the pages and just staring out of the window at one of the Earth’s most sublime locations. 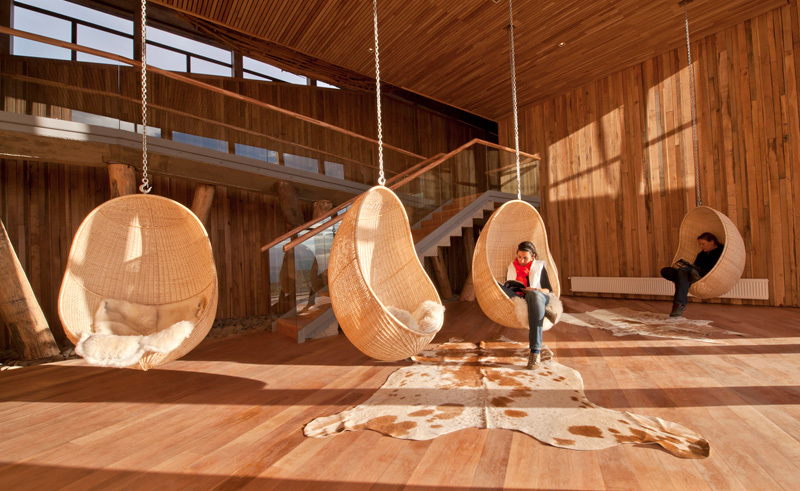 The building contains 40 well-appointed rooms, all with private facilities and fantastic views of Torres del Paine. It also features a common lounge, a bar, a highly regarded restaurant, on-site boutique shops, and an outdoor terrace. Guests are also provided with iPads to use during their stay. 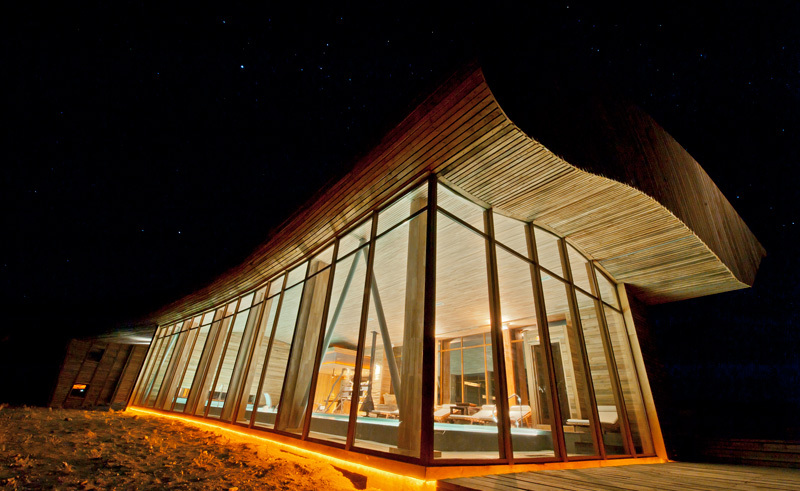 The Uma Spa, situated within the hotel, boasts an indoor swimming pool with stunning views of the National Park. There is also a sauna, steam bath, locker room and outdoor Jacuzzi. Massages and other treatments are also available at additional cost. A host of optional excursions and transfers are operated by the hotel and its partners and are free of charge for those staying on an all-inclusive basis, or available at extra cost for others. 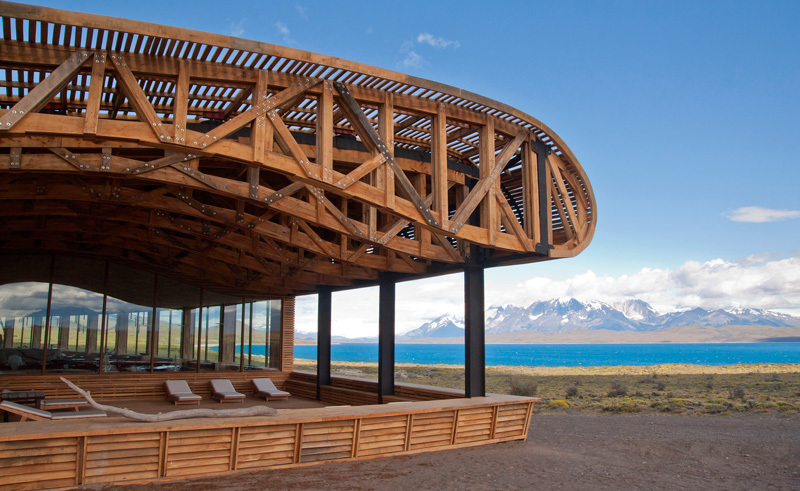 Please note: The Tierra Patagonia is a seasonal hotel and is therefore closed between the months of May and August. 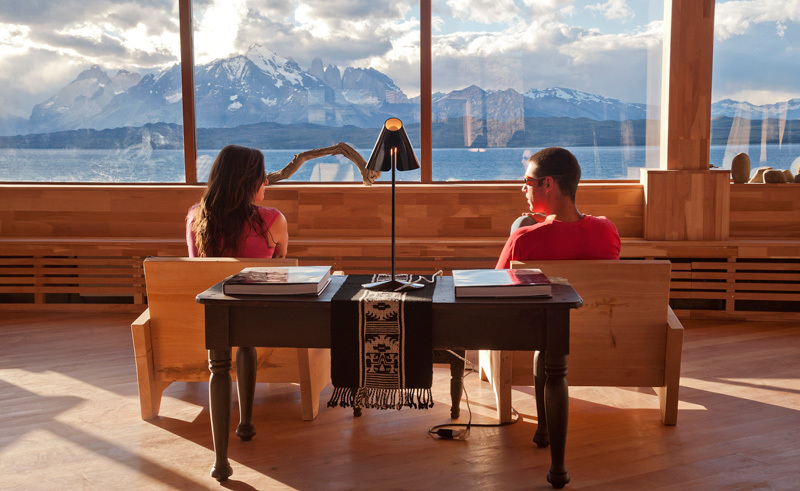 This independent adventure offers the perfect blend of guided excursions and free time for exploring around Torres del Paine.